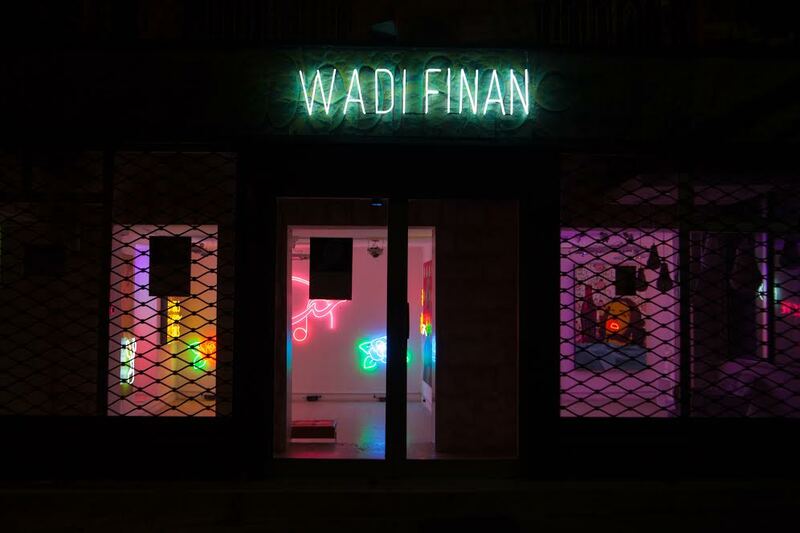 Wadi Finan, a gallery in Amman, Jordan. On a clear day in Amman, as the sun lights up its sandstone buildings, it infuses the city with a sense that anything is possible. The Jordanian capital isn’t like the region’s glitzier cities such as Istanbul or Beirut, but it’s that very thing that inspires its young creatives, who are influenced by Amman’s raw energy, heritage and vintage design. Recently, Amman Design Week’s second annual event brought a lot of creatives to the surface. 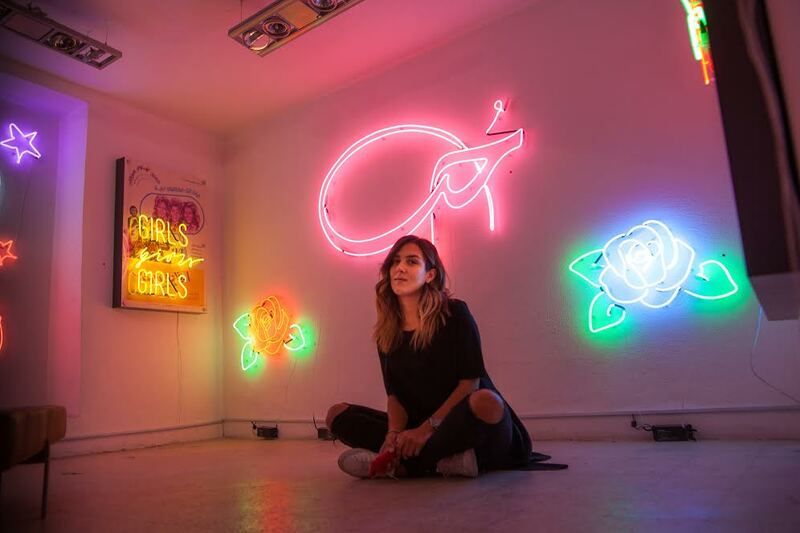 One of them is Amman-native Hana Ghawi, the 28-year-old founder of LAMBA Neon – a bespoke neon design outfit – whose funky designs grace hotels and homes in the capital and beyond. 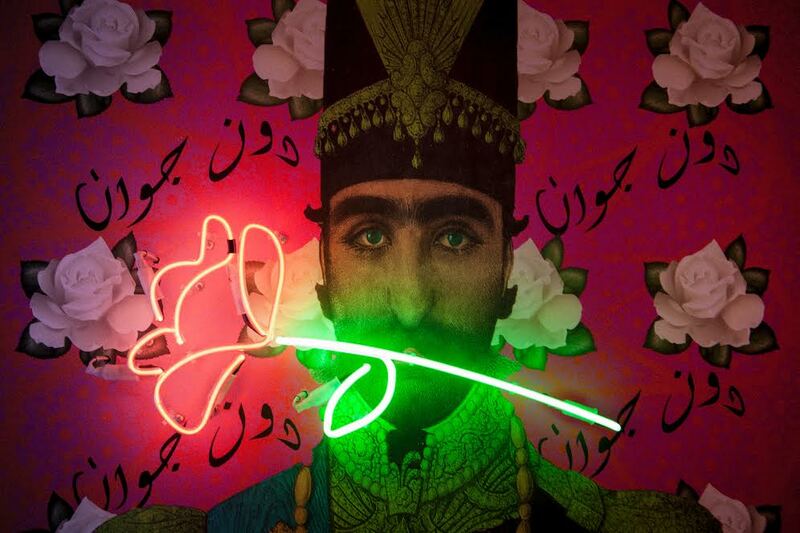 Her work is rife with local cultural references, including an ongoing project of lighting up old Arabic film posters with neon, or her collaboration with the digital artist Zaina el-Said. It’s this mix of old and new and classical and modern, she says, that makes her work even more powerful. We sat down with Ghawi to find out what makes Amman such a great place for creatives—from where to get inspired to the best falafel in town. Where can one see your work in Amman? Most of our work is made-to-order so we never really have inventory. We have a few pieces at our favorite gallery in Amman, Wadi Finan. We also have a few pieces around Amman such as the W Hotel, Ned’s Pizza, Fish Face, Nafsika Skourti showroom, Foodsmith Grill. My favorite collaboration is with Zaina El-Said. I really like Warsheh and would really like to collaborate with them some day. Nafsika Skourti is definitely my favorite local fashion designer. When you look at their work, it’s not only fashion – there’s so much else that’s going on there. There are a lot of Palestinian and Jordanian artists that I like. Wadi Finan has a great collection. Hana Ghawi and her work. Where do you take out of town visitors to eat? My favorite places are definitely Fakhreldin and Shams el Balad. Fakhreldin serves spectacular authentic Levant cuisine and is located near one of the oldest neighborhoods in Amman. Shams el Balad is a farm-to-table concept cafe that serves healthy, local food. Beit Sitti is a cooking and dining experience where you get to prepare and eat a traditional Arabic dish. It is a very fun experience. I really like Sufra for authentic Jordanian food such as mansaf. I love La Capitale at the Four Seasons hotel for French food. The vibe is great, especially on weekends. Romero has the best Italian food, hands down. My favorite place to pick up a quick salad is Pepper and Pine. They also have really yummy breakfast bowls, wraps and rice bowls. What’s your go-to place for a falafel sandwich, a drink, and a coffee? Coffee: I don’t drink coffee but I would suggest Rumi, Kava, or Majnoon Qahwa. What are your favorite shops in Amman? Shams Shop is my favorite place to shop in Amman. It is so well curated and you find really special unique local things there. I also like Al Aydi for artisanal stuff. Zawayed has a lot of really nice local hand-made designs. Mazraati is fun for veggie shopping. My home! But if I want to spoil myself, I’ll get a massage at Spa Amber. 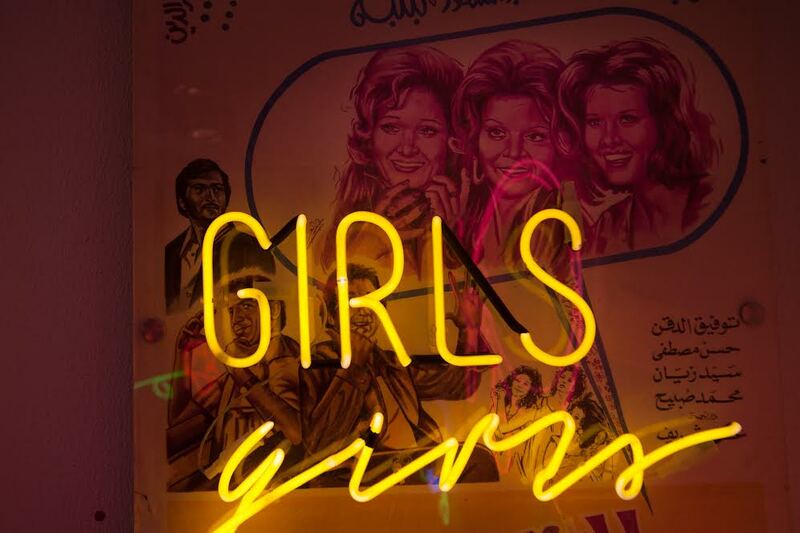 Girls Girls Girls by LAMBA. Don Juan by LAMBA x Zaina El Said. Where do you work in Amman? What’s your favorite thing about this neighborhood? My office is in Weibdeh. It is one of the oldest neighborhoods in Amman. It’s very artsy and what I love about it is that I can walk around. The National Gallery is close by as well as Darat al Funun. So much to see, do and so many cafes around. I love it! What are your favorite outdoor destinations in Amman or favorite day trips? My mom’s family is from Al-Salt, so my favorite thing to do is to go there on weekends with my grandfather. We visit his old house which has now become a museum. We then go to the Al-Khader church, which is 300 years old. It is such a special church not only because of the story of its existence, but because it is probably the only place in Jordan where Christians and Muslims pray together. The best part of my day in Al-Salt is buying fresh fruits and veggies from roadside shacks! Fuheis is also a nice area to go out to during the day, there are a lot of restaurants and nice views and the Iraq Al Amir has ruins that are very special to see. The Dead Sea is a very easy day trip as well. My favorite place to go to on the weekend, though, is Aqaba. I love the sea and I find it so relaxing there. You can do a night in Wadi Rum before, where you can sleep under the stars and go on a hot air balloon ride at sunrise.